I want to get a tattoo – where should I put it? 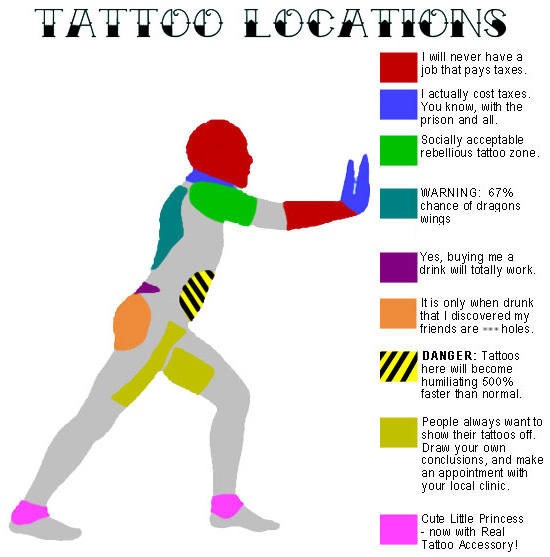 Here are some things to think about before you get inked. Anything that shows on your neck, head or face is going to make it difficult for you to get a decent job. The shoulder and upper arm are good places as shirt sleeves usually cover it. The forearm shows too much as do the hands. Don’t get a tattoo if you’ve been drinking or under the influence of anything or anyone. Keep in mind that tattoos are difficult and painful to remove.